Geopolitical forces are changing the map of East Africa. The Serengeti is in the middle. East Africa is poised for major new transportation development to boost exports of oil, gas, and other resources to China. The Serengeti lies right in the middle. Kenya and Tanzania are now locked in a race to develop transport corridors throughout East Africa, the Congo, and the southern Sudan. 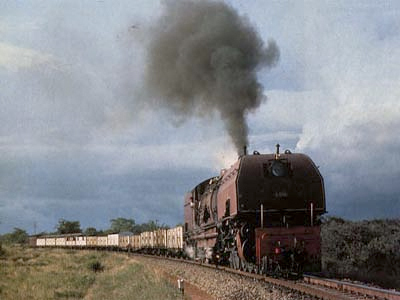 Kenya has long held dominance in transportation with its colonial era (“Lunatic Express”) railway that connects Uganda to the East African port of Mombasa. Now, with help from the Chinese, Tanzania is making a bid to cut into this trade with a new port and railway/road system. China is funding a huge deepwater port at Bagamoyo, perhaps ultimately giving Tanzania the largest gateway to Africa’s interior. The $11 billion port at Bagamoyo was announced when the Chinese president visited Tanzania earlier this year. One of Tanzania’s advantages is that it has borders all four East African Community members (Uganda, Rwanda, Burundi, and Kenya), plus southern neighbors Malawi, Zambia, and Mozambique. The problem is that Tanzania’s railway system through its central corridor has deteriorated and operates only at a small fraction of its potential. But Tanzania has also announced plans to upgrade this system as well. China wants multiple access routes. After Kenya’s peaceful election this year, China announced funding for a major upgrade to Kenya’s railway that will extend to Uganda and Rwanda, It will eventually stretch north to provide an outlet for Southern Sudan’s oil, and east to provide an outlet for the resource rich Congo. To further counter Tanzania, Kenya launched its new railway in a ceremony attended by Rwanda, Uganda, and Southern Sudan, a group called “the coalition of the willing.” In this landmark gathering, the members agreed that trade through their countries would flow through Kenya’s port of Mombasa. learn more . Kenya also has plans for a massive deepwater port in Lamu, connecting Southern Sudan and Ethiopia to the Indian Ocean. At one point, Uganda and Tanzania were planning a major transport corridor across Lake Victoria to Tanzania’s coast. Now, given the new partnership between Kenya and Uganda, there is some doubt that this will actually happen. If it doesn’t, it would take pressure off the Serengeti. However, Tanzania’s Minister for Transport just recently stated that his government was going ahead with the Uganda-Lake Victoria-Tanzania route, allocating three and a half billion dollars for a railway that would connect Lake Victoria with the Tanzania coast. As we previously reported, there is highway construction going on all around the Serengeti. With development plans escalating, competition heating up, and Chinese funds and workers flowing in, it will be all too tempting to connect the dots and cross the Serengeti. Any degradation of natural areas, especially the Serengeti, would be a setback for Tanzania’s overall economy. Tourism has just surpassed gold as the country’s top foreign exchange earner. Nearly two billion dollars in income and hundreds of thousands jobs directly depend on an intelligent conservation policy and its effective enforcement. Tanzania could have its cake and eat it too, if the current trend is reversed.